Fast and simple encryption / folder locking tool for windows. Cloud secure allows you to password protect cloud folders on your PC. Password-protect and encrypt your sensitive files. ScreenWings is a free anti-screenshoting software that prevent malicious software from capturing your screen. Hyper Crypt uses the military-grade AES-256 algorithm for file and folder encryption, along with automatic integrity validation. Restrict execution of executable applications including web browsers. JPass is a simple, small, portable password manager application with strong encryption. Thanks to CryptoForge, you can access the options to encrypt or shred a file by simply right clicking that file. 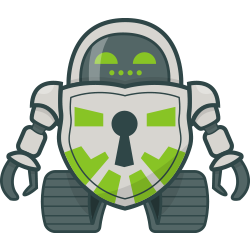 The HiTek Software-developed application AutoKrypt is a PGP encryption tool that you can use to automatically encrypt and decrypt files. With EventLog Inspector, you will be able to filter the information displayed by Event Viewer and only show certain events.